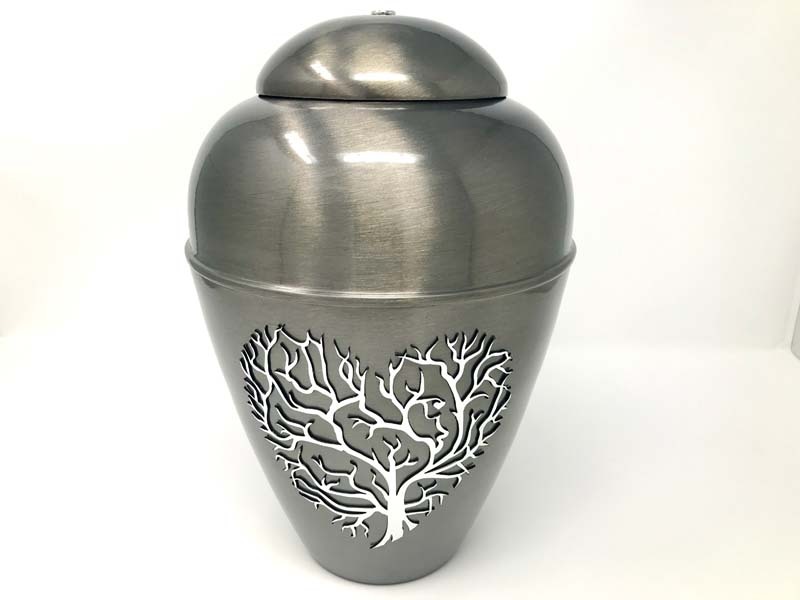 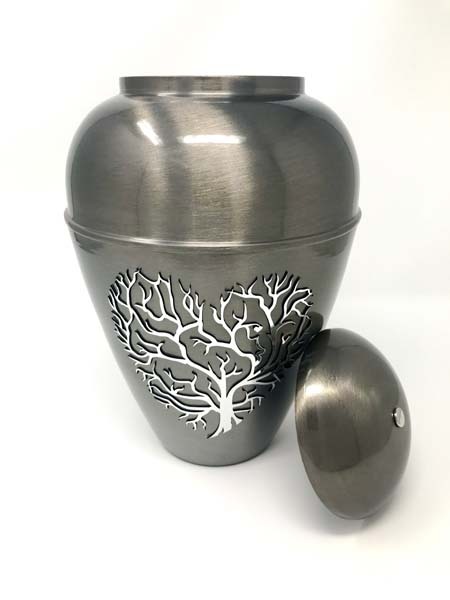 A metal cremation urn with a Tree of life in the form of a heart. 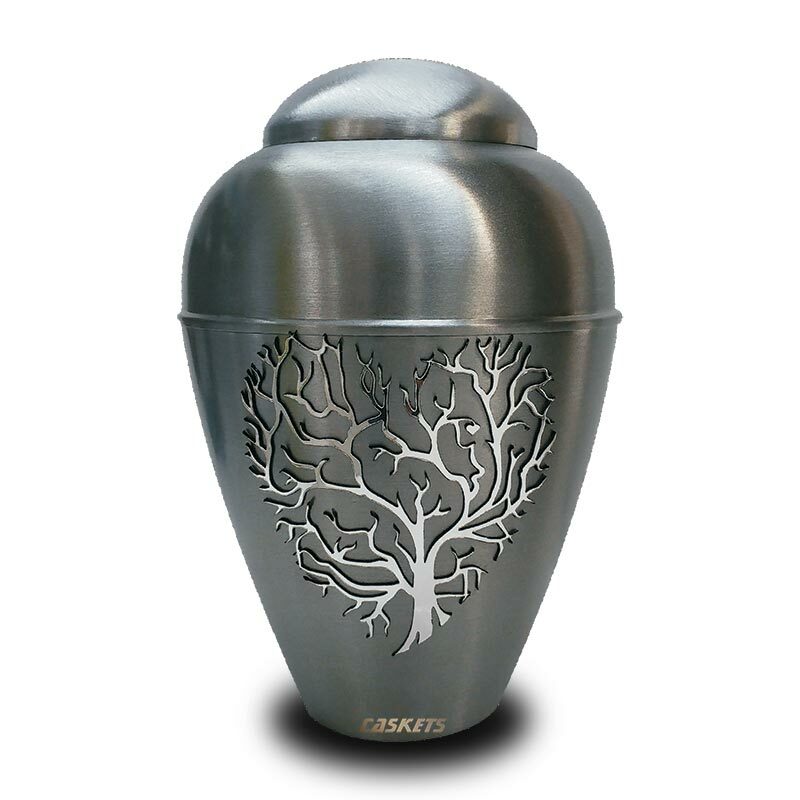 Metal Urn Tree Of Life Silver is a gently curving metallic funeral urn for ashes featuring a mirrored tree of life in the form of a heart. 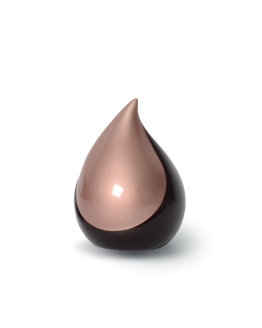 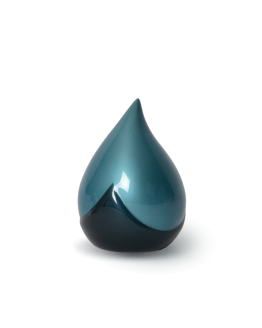 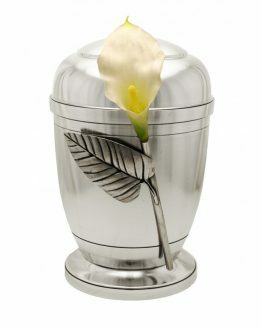 This powerful symbol is associated with the circle of life and immortality giving hope and comfort to those left behind. 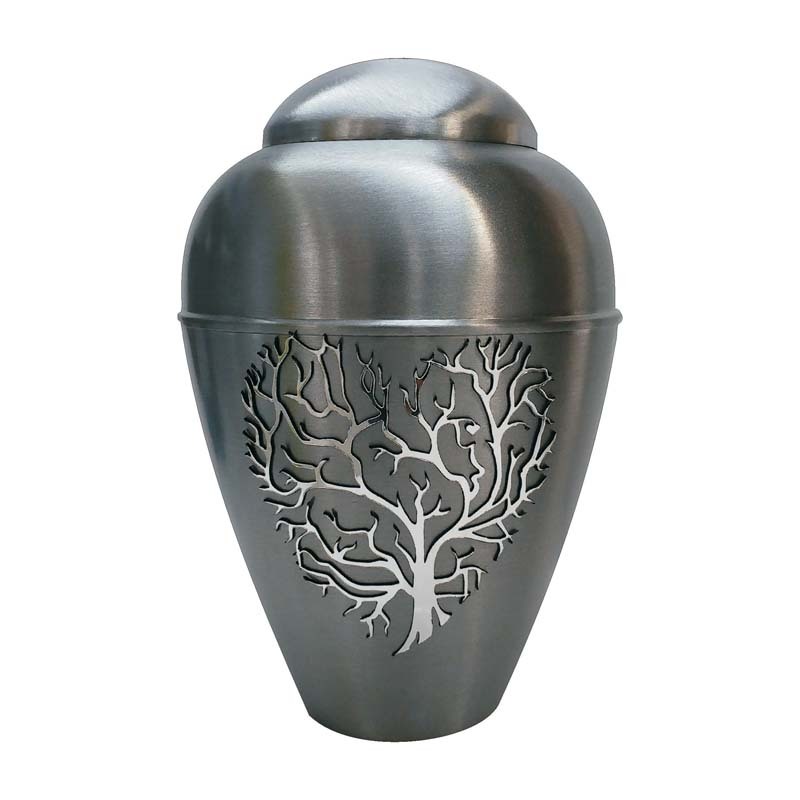 It is also perfect for someone who loved the natural world and being outdoors. 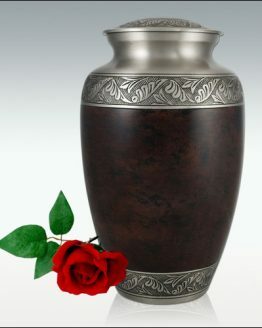 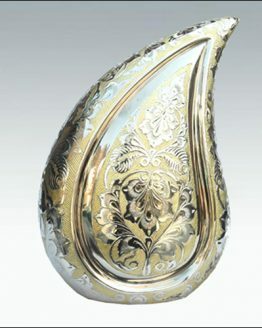 The top features an elegant finial, completing the graceful shape of this urn. 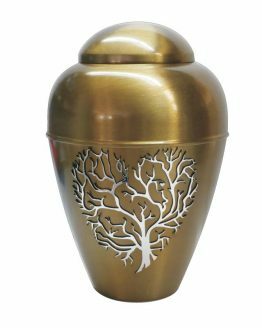 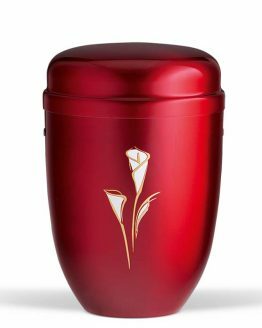 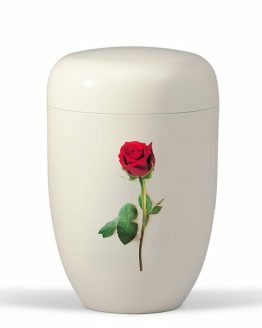 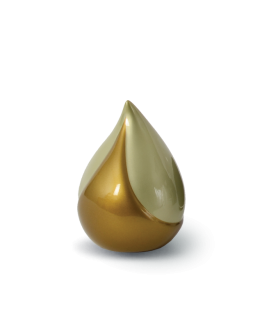 Please note, as each of our urns and caskets are individually handcrafted, there may be slight variations in colour and finish. 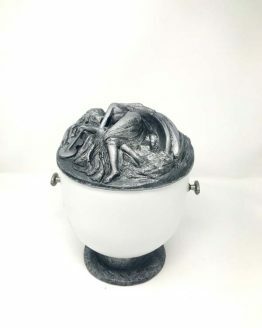 Fantastic Looking urn, the tree of life is a symbol I was looking for.